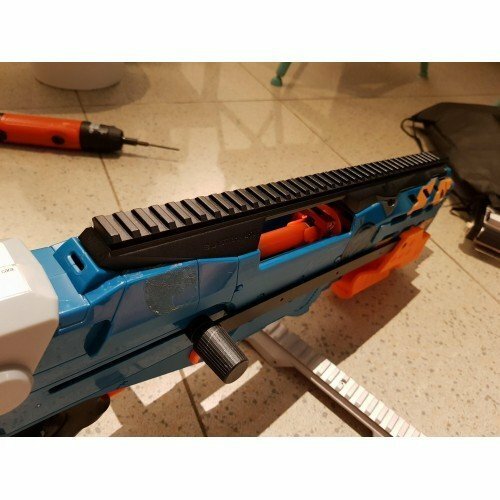 CNC machined aluminium top rail made for Longshot. 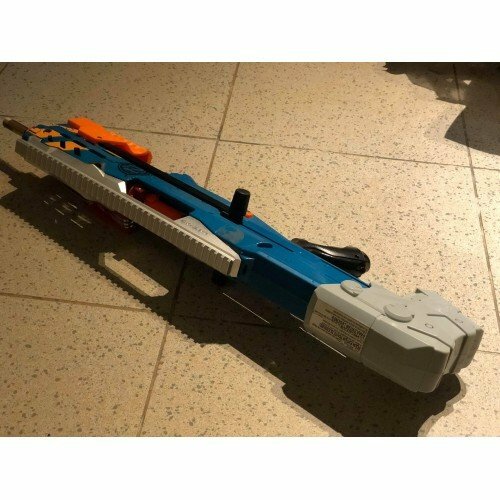 Power, precision and durability is the motto of most Longshot build out there and this piece of art just compliment all the aftermarket parts available for Longshot in the current market. 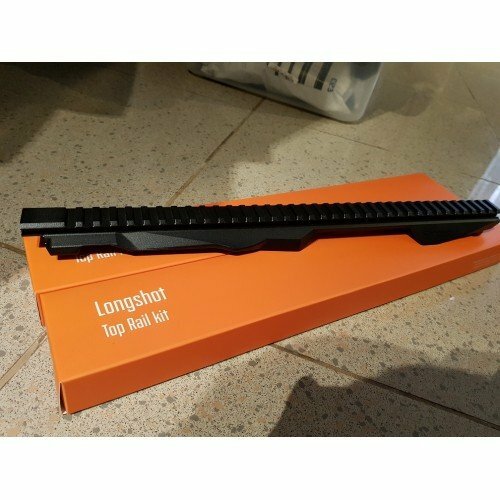 Milled from a big aluminium block, this single piece of top rail is one of the most precise and sturdy top rail made for Longshot and with a very affordable price tag. Anodized in black, this literally both, beauty and the beast. This is not a drop in kit as you will be required to cut off the Longshot top handle. 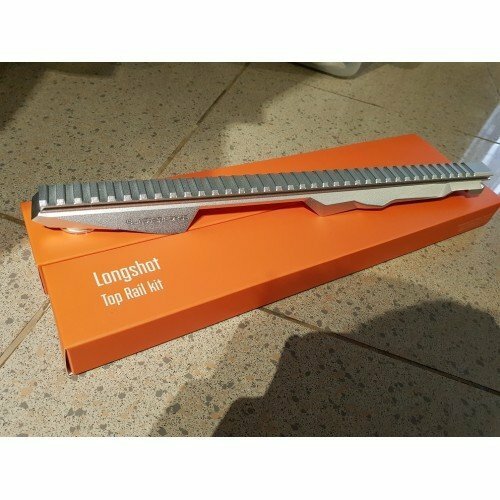 However, installation of this kit does not require any glue/epoxy as there are tabs which will hold the rail with your shell together. In short, you will need to chop off your top handle but after that, it's basically a drop in kit. 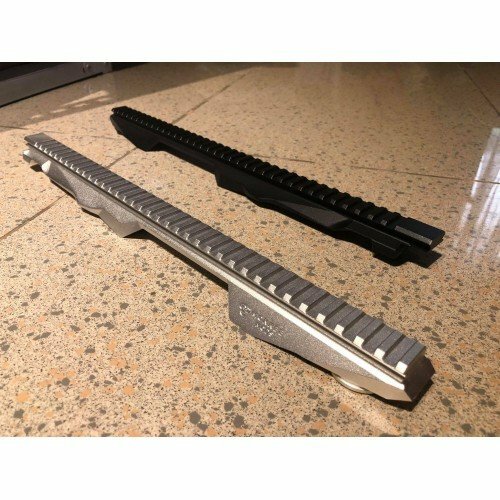 This takes out issues of misalignment, allowing you to have the perfect alignment for your top rail which you can mount your scope or sights on. 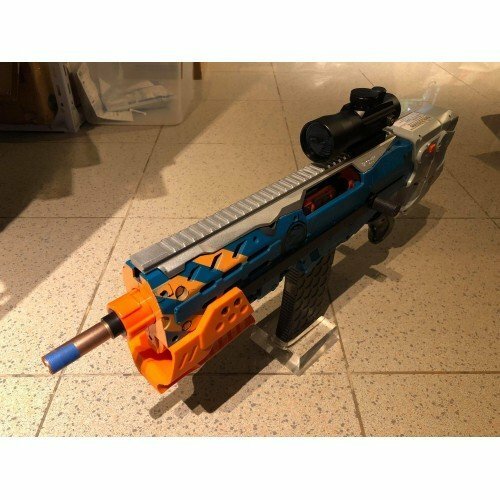 No one likes to deal with the mess of glue and epoxy left behind isn't it? Manufactured, packaged and distributed by Monkee Mods. Note: There are very minor paint chipping off(only visible close up) for the black color version occured during shipment. If you don't like that, we strongly suggest you get the silver version where we don't see such problem.